Vanuatu a safe and healthy place to live and work. In response to Vanuatu’s social and economic needs and corresponding with the Priorities and Action Agenda, the ILO, in consultation with tripartite constituents, developed a Decent Work Country Programme (2009-12). The priorities of the programme are: Labour legislation reform and application of International Labour Standards, Promotion of decent employment opportunities, particularly for young women and men, and inclusive of persons with disabilities, Capacity building of tripartite partners and improvement of social dialogue, Increasing social protection. The International Labour Organization’s members in Asia and the Pacific - governments, employers’ and workers’organizations - have committed themselves to an “Asia-Pacific Decent Work Decade 2006-2015”. In doing so they reaffirmed their commitment to achieving full, productive and decent employment for their people. To help realize the aims of the Decade five regional priority areas were selected: Competiveness, productivity and jobs, Labour market governance., Youth employment, Managing labour migration, Local development for poverty reduction. New business opportunities have been generated from the RSE scheme. On Ambrym, investment in bovine livestock production and expanding cattle grazing has been a priority for at least six of my participants. Central Otago-based company, Seasonal Solutions Co-operative Ltd (SSCO), recruits workers in Port Vila. Once in New Zealand, SSCO places workers with growers/contractors for the duration of the season. RSE workers from Ambrym have used their earnings to construct permanent homes intended to withstand cyclones and volcanic eruptions — two natural disasters that Vanuatu is susceptible to. 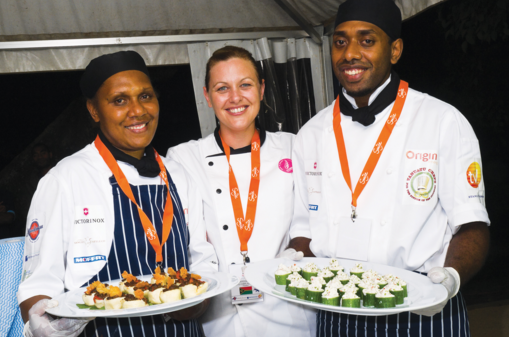 Work Ready Vanuatu is a top provider of Pacific seasonal workers from Vanuatu for New Zealand and Australian orchards, pack houses and Vineyards. Work Ready Vanuatu has an excellent reputation within both the Australian SWP and New Zealand RSE schemes. John Doe will talk about how he got one of the most prestigious projects. Leading a team is the biggest challenge for any executive, says Sally Logan. Nathan Epworth will show you how to best handle those 24 hours. With power comes responsibility. Phil Great gets your feet to the ground.